From phishy-looking email messages to suspect links your friend would never share in a million years, Facebook has to deal with more than its fair share of scammers and online con artists. However, recent data released by the site in its quarterly report suggests that they’re making massive headway against scammers and spammers. According to Tech Crunch, the amount of spam accounts is at .9 percent of Facebook users, down from 1.5 percent in June 2012. That’s equivalent to a 37 percent drop in malicious Facebook accounts from roughly 15.1 million to 9.5 million. This figure, however, only accounts for “undesirable” accounts. Other fake accounts, like multiple pages for the same person or profiles set up for pets, are filed under “misclassified” users. Coming on the heels of the recent news that Facebook has developed its own in-house programming language to fight spam, these statistics should prove encouraging for average users and businesses looking to invest in Facebook alike. 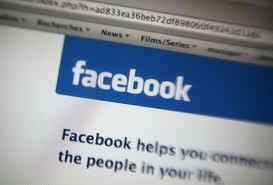 Facebook, with its treasure trove of personal data, is a spammer’s dream playground. That’s why it’s up to the site, and its users, to police its pages and keep them clear of would-be con artists. If you suspect something is spam, follow these simple steps to report it.